Citation: Agwah ED, Raphaël KJ, Joel PMH, Wilfried ENL, Gildas ND, et al. (2018) Effects of Dichrostachys glomerata Feeding Regimes on Growth Performance, Gut Microbiota and Haemato-Biochemical Profile of Japanese Quails. J Anim Res Nutr 3: 2: 5. Copyright: © 2018 Agwah ED, et al. This is an open-access article distributed under the terms of the Creative Commons Attribution License, which permits unrestricted use, distribution and reproduction in any medium, provided the original author and source are credited. Background: The ban of antibiotics growth promoters due to bacteria resistance and the presence of chemical residues in animal products have stimulated research for alternative feeding supplements in poultry production. This study was designed to assess the production performance of quails under two D. glomerata feeding regimes. Methods: A total of 160 two weeks old Japanese quail chicks were assigned to four experimental treatments in a completely randomised design with 4 replicates of 10 chicks (5 males and 5 females) in each treatment. The two feeding regimes consisted of 5 g/kg of feed (T1) and cold water inclusion of 5 g/l (T2) of D. glomerata. Data were recorded on feed intake, weight gain, feed conversion ratio, haematological and serum biochemical parameters, and intestinal microbial count. Findings: Quails fed on the two feeding regimes were compared to quails fed with diet without any supplement (T0) and an antibiotic (1 g/kg) medicated diet. The results showed no significant difference (p>0.05) in feed intake and weight gain, however the feed conversion ratio was significantly lower (p<0.05) with antibiotic compared to the two feeding regimes. The feeding regimes did not have any significant (p>0.05) effect on carcass yield and relative weight of organs. Triglycerides concentration was significantly higher in quails fed on cold water administration of D. glomerata as compared to the control diet. Aspartate aminotransferase (ASAT), alanine aminotransferase (ALAT), creatinine, total protein, albumin, urea, total cholesterol, HDL-cholesterol and LDL-cholesterol were not significantly affected by the feeding regimes. Except for the concentration of pack cell volume (PCV) that was significantly high (p<0.05) with cold water administration (41.5%) as compared to the negative control ration (35.25%), haematological blood components were not significantly affected by the feeding regimes. Feeding quails with D. glomerata powder whatever the regime significantly (p<0.05) increased lactic bacteria count compared to E. coli, Salmonella and Staphylococci. Conclusions: The feeding of D. glomerata powder to quails through feed or drinking water can be used as an alternative to antibiotics to balance gut microbiota in Japanese quails. Growth promoters like chemical products, herbal plants, essential oils, antibiotics and enzymes play an active role in the experimental and commercial production of large and small animals [1,2]. Antibiotics were added to animal feed in order to prevent, treat infections, reduce morbidity and mortality, as well as improve growth and production in animals . Several studies showed that up to 81% of poultry meat and environmental isolates analysed were resistant to enrofloxacin, ciprofloxacin, tetracycline or erythromycin . Sengül et al. reported that dietary inclusion of flavomycin in quail’s nutrition resulted in DNA damage and increased oxidative stress. This resulted to the systematic removal of antibiotics from animal feed in the European Union countries . The banning of antibiotic growth promoters and the increasing awareness of consumers triggered the need for potential alternatives to antibiotics among plant products which have been used for centuries such as spices and medicines. Herbs and spices fall into the class of feed additives, currently referred to as “Phytogenics”. They are strongly being considered as addition to the set of non-antibiotic growth promoters, such as organic acids and probiotics which are already well established in animal nutrition . Some studies have shown that spices contain active substances which have a positive impact on the production performance of domestic animals [8-11]. The most important bioactive constituents include alkaloids, tannins, flavonoids, saponins and phenolic compounds. D. glomerata has been shown to have antiviral, anti-infectious , anti-inflammatory and analgesic effects . This fruit also exhibit in vitro and in vivo antioxidant activity and can inhibit oxidation of low-density lipoproteins . These authors also reported the ability of D. glomerata to reduce fasting blood glucose and glycosylated hemoglobin levels. This spices acts indirectly on broiler performance and meat quality characteristics through their antimicrobial, antioxidant and regulatory effects on animal’s intestinal microflora [8,11,15]. It has inhibitory effects on Staphylococcus epidermidis, Streptococcus viridans and Escherichia coli . The objective of this study was to evaluate the effects of D. glomerata feeding regimes on growth performance, gut microbiota and haemato-biochemical profile of Japanese quails. Trial has been performed in agreement with the guidelines of the ethical standards from the 1964 Helsinki Declaration and latterly amendment. The study was carried out at the Teaching and Research Farm of the Faculty of Agronomy and Agricultural Sciences, University of Dschang, Cameroon. This farm is located at an altitude of 1420 m above sea level, between latitude 5°26’N and longitude 10°26’E with an equato-guinean climate, tempered by altitude. Dried sample of D. glomerata fruit was bought at the local market in Dschang, ground into powder in a Harmed mill, sieved and incorporated in the experimental diets. The grounded spices sample was put in polyethylene plastic, sealed and stored at 4°C in a refrigerator until analysis. Phytochemical screening of D. glomerata showed that tannin and alkaloids were absent. Steroids, flavonoids, saponins, anthraquinons, anthocyanines and triterpenoids tests were positive. Antibiotic (Doxycyclin®) used in the positive control diet was bought from a local veterinary pharmacy. A total of 160 two weeks old Japanese quail chicks were randomly assigned to four treatments groups in a completely randomised design with 40 quails per treatment. Each group was sub divided into 4 replicates of 10 quails each (5 males and 5 females). Two experimental diets were formulated from the negative control ration (T0) formulated to meet their requirements (Table 1) by incorporating 1 g of antibiotic/kg of feed and considered as positive control ration (T0+) and 5 g of D. glomerata fruit/kg of feed (T1). The last treatment consisted of incorporating 5 g/l of D. glomerata powder in drinking water (T2). Throughout the experiment, the quails received feed and water ad libitum every day. *Vitamin premix provided per kilogram of diet: Vitamin A: 3000000 IU; Vitamin D3: 600000 IU; Vitamin E: 4000 mg; Vitamin K: 500 mg; Vitamin B1: 200 mg; Vitamin B2: 1000 mg; Vitamin B6: 400 mg; Vitamin B12: 4 mg; Mn: 80 mg; Fe: 8000 mg; Zn: 10000 mg; Cu: 2000mg; Methionine: 200000 mg; Lysine: 78000 mg; Se: 20 mg.
Prophylactic measures against the most common infectious diseases were carried out. The quails were given treatment against coccidiosis (Vetacox®) and Vitamins (AMINTOTAL®) in water once a week. Chicks were weighed at the beginning of the experiment and on weekly basis thereafter. Data on feed intake and body weight gain were collected and used to calculate the feed conversion ratio (FCR) on weekly basis, monitored for five weeks. At the end of the feeding trial (35 days of experiment), one male and one female from each replicate within the treatment (8 quails per treatment) were selected for carcass evaluation. They were fasted for 12 hours and slaughtered. Evisceration was done by hand plucking of feathers in warm water, removal of shank and viscera were recorded individually and presented as a percentage of live body weight. From each slaughtered quail, blood was collected in 2 test tubes, one of which contained an anticoagulant. Blood with anticoagulant was used for haematological analysis using a fully automatic blood cell counter (Model PCE-21ON Hong Kong, China). Haematological parameters included White blood cell (WBC), Red blood cell (RBC), Haemoglobin (Hgb), Mean cell haemoglobin concentration (MCHC), Mean cell volume (MCV), Mean cell haemoglobin (MCH) and Packed cell volume (PCV). Meanwhile, after centrifugation of blood free from anticoagulant, serum was collected and preserved at -20°C for the evaluation of total protein, albumin, globulin, aspartate aminotransferase (ASAT), alanine aminotransferase (ALAT), total cholesterol, high density lipoproteins (HDL), low density lipoproteins (LDL), triglyceride, urea and creatinine, using colorimetric method as prescribed by the commercial kits (Dialab® kits). A sterile spatula was used to collect freshly quail droppings into sterile bottles. The identification and quantification of bacteria were assessed on appropriate specific culture media (MRS Agar for lactic acid bacteria, Mac Conkey AGAR for E. coli, SS AGAR for Salmonella and MST AGAR for Staphylococcus). Samples were incubated at 37°C for 24 hours. Data recorded on growth, haematological, biochemical and microbial parameters were submitted to one-way analysis of variance test by General Linear Model procedure of Statistical Package for Social Science (SPSS 20.0) software. The differences were tested using Duncan’s multiple range test and probability values less than 0.05 was considered as significant . Table 2 summarised the overall performance of grower quails fed on D. glomerata feeding regimes. The results of the present study indicated no significant effects (p>0.05) among the treatment groups for feed intake, final body weight, and weekly weight gain. T0 =Negative control diet; T0+= T0 + 0.1% of Doxycycline; T1= T0 + 5 g D. glomerata powder/kg of feed; T2= drinking water + 5 g D. glomerata powder/litre of water. However, the administration of D. glomerata powder through water (T2) numerically increased feed intake for about 2.89% and 8.37% compared to the negative (T0) and positive (T0+) control rations respectively. Water inclusion of D. glomerata significantly increased FCR compared to positive control ration supplemented with antibiotic. Table 3 summarised the development of digestive organs of quails as affected by D. glomerata inclusion in feed and water. D. glomerata feeding regimes had no significant (p>0.05) effect on the development of digestive organs with respect to the negative and positive control treatments. The haematological parameters of Japanese quails as affected by D. glomerata feeding regimes are summarised in Table 4. Although not significantly (p>0.05) different, feeding quails with D. glomerata whatever the regime tend to increase WBC, Hgb and MCH compared to negative and positive control ration. The PCV was significantly (p<0.05) higher with drinking water administration of D. glomerata compared to the negative control ration (T0). ab: Means on the same row with different superscripts are significantly different (p<0.05); WBC= White blood cell; RBC= Red blood cell; Hgb= Haemoglobin; MCV= Mean cell volume; MCH= Mean cell haemoglobin; MCHC= Mean cell haemoglobin concentration; PCV= Packed cell volume; SEM= standard error on mean; T0 =Negative control diet; T0+= T0 + 0.1% of Doxycycline; T1= T0 + 5 g D. glomerata powder/kg of feed; T2= drinking water + 5 g D. glomerata powder/litre of water. Except for serum content in triglycerides which significantly increased (p<0.05) for about 20.62% in quails fed on D. glomerata inclusion in drinking water (T2) compared to the negative control treatment (T0), the concentration of serum biochemical parameters of grower Japanese quails after 5 weeks of experimentation indicated no significant (p>0.05) difference among the serum constituents (Table 5). ab: Means on the same row with different superscripts are significantly different (p<0.05); SEM= standard error mean. T0= negative control diet; T0+= T0 + 0.1% of Doxycycline; T1= T0 + 5 g D. glomerata powder/kg of feed; T2= drinking water + 5 g D. glomerata powder/litre of water. However, although not significant (p>0.05), the serum content in ASAT, ALAT and creatinine of quails fed on D. glomerata through drinking water numerically increased for about 7.40%, 41.86% and 31.70% respectively compared to quails fed on diet without supplement (T0). The microbes isolated from the faecal sample of growing quails fed on D. glomerata are shown in Table 6. E. coli and Salmonella counts markedly decreased with antibiotic and D. glomerata in feed and water compared to the negative control treatment. Feeding quails with D. glomerata through drinking water or feed resulted in a significant increase in number of Staphylococcus counts. The feeding regimes had no significant (p>0.05) effect on lactic bacteria counts compared to the negative and positive control treatments. With regard to the bacteria species and irrespective of the treatment, lactic bacteria counts were significantly (p<0.05) high compared to E. coli, Salmonella and Staphylococcus counts. ab: Means on the same row with different superscripts are significantly different (p<0.05); SEM= standard error on mean; T0= negative control diet; T0+= T0 + 0.1% of Doxycycline; T1= T0 + 5 g D. glomerata powder/kg of feed; T2= drinking water + 5 g D. glomerata powder/liter of water. Feeding quails with D. glomerata through drinking water resulted in a non-significant increase in feed intake for about 2.89% compared to the quails fed on the negative control diet. This may be as a result of the small dose of D. glomerata introduced, higher concentration of anti-nutritional substances or strong odour of this spice that may have reduced feed intake. Hernandez et al. reported that optimisation of feed intake with feed additives from plant origin is controversial and depends on the amount and duration of administration. This corroborates the findings of Kalio et al. who attributed the depression in feed intake of Japanese quails fed graded levels of Azadirachta indica leaf meal to the poor palatability and probable presence of toxic or anti-nutritional factors inherent in the spice. The present result agrees with the findings of Nweze et al. who reported that feeding African porridge fruit (Tetrapleura tetraptera) pod to broilers through fresh or boiled water and feed has no effect on feed intake. Likewise the incorporation of 2 g of D. glomerata/kg of feed did not improve broiler feed intake . Final body weight and weight gain were intermediate for all treatment groups. This result is in close agreement with Lee et al. and Jang et al. who reported no significant effect on the weight gain and live body weight of broilers fed on a commercial feed additive containing thymol and cinnamaldehyde. The present results are in contrast to the study of Oleforuh-Okoleh et al. which revealed that adding 50 ml ginger, garlic and a combination of ginger-garlic into drinking water of broilers improved final body weight and weight gain compared to the negative control treatment. The feed conversion ratio (FCR) significantly decreased (p<0.05) with feed inclusion of antibiotic compared to water inclusion of D. glomerata. The decrease in FCR can be understood because of the decrease in feed intake of birds fed on antibiotics. FCR of birds receiving D. glomerata in feed and water was comparable with birds receiving the negative control diet. The non-significant change in FCR with the feeding regimes could be associated with the dose of D. glomerata administered in this study. Also, this might be due to the antioxidant activity of D. glomerata that stimulated protein synthesis by bird’s enzymatic system with respect to the quantity of feed or water consumed. Moreover, Muneendra et al. stated that spices change fatty acid composition which affects the surviving ability of pathogenous microorganisms and could increase the digestive potentials of beneficial microorganisms there by increasing the animal’s ability to absorb and use more nutrients or stimulate its immune system . This suggests that 5 g of D. Glomerata/kg feed was not enough to stimulate the absorption and usage of more nutrients. ANOVA revealed that D. glomerata powder incorporated in feed and water did not significantly affect carcass yield, liver, pancreas, heart, gizzard, head, legs and abdominal fat and relative weight of the intestine when compared to the negative and positive control treatments. This might be because of the small quantity, short duration of administration of D. glomerata in the diets, the small quantity of feed consumed and metabolised by quails. This result agrees with the results of Barad et al. who reported that 2% spices of coriander seed, turmeric powder and 0.5% black pepper had no significant effect on broilers carcass yield and relative weight of organs. Moreover, Seifi et al. reported that organic acid supplementation of broiler diet had no significant effect on the length of the small intestine or proportional weight of liver and pancreas. Also, Fazilat et al. showed that weights of quail’s organs like gizzard, heart, liver, kidney and spleen are not affected by the supplementation of ration with commercial feed additive (Globacid®). This contradicts the results of Simsek et al. who reported that, the addition of anise oil and essential oil mix (Herbomix®) to diets had positive effects on carcass yield in broilers. In addition, Goodarzi and Nanekarani  recorded significant effect only on abdominal fat when 1% and 2% onion extracts were introduced in the drinking water of broiler chickens. In the present study, with the exception of PCV which was significantly (p<0.05) higher compared to the negative control treatment, all other haematological parameters of quails were not significant among treatments. Haematological parameters in feeding regimes had an upward trend compared to the negative control treatment. This might be due to the absence of toxic substances like alkaloids and tannins in the spice which did not provoke a counteraction of the immune system which could markedly decrease WBC, RBC, Hgb and PCV. Also, Oleforuh- Okoleh et al. and Islam et al. reported that an increase in RBC, Hgb and PCV contents in blood is an indication of improved oxygen carrying capacity of the cells which translates a better availability of nutrients to the birds consequently affecting their wellbeing. This corroborates the findings of Onu  who observed no significant effects on WBC, RBC, Hgb, MCV, MCH and MCHC when 0.25% garlic, ginger and a combination of garlic-ginger were incorporated in finisher broiler’s feed. In addition, Parthasarathi et al. recorded a marked increase in PCV and no significant effect on MCV and MCH when 1% ginger, garlic and equal combination of gingergarlic powder were added in Japanese quail’s feed. The present results are in contradiction with the findings of Al-Kassie et al. who observed a significant decrease in WBC, RBC, Hgb and PCV when 0.25%, 0.5%, 0.75% and 1% hot red pepper was introduced in broiler’s diet compared to the negative control diet. Furthermore, Oleforuh-Okoleh et al. reported a significant increase in WBC, RBC and Hgb compared to the negative control treatment when 50 ml ginger, garlic and a combination of ginger-garlic were incorporated in broiler’s drinking water. The serum contents in ALAT (alanine amino-transferase) and ASAT (aspartate amino-transferase) were not significantly affected by the incorporation of D. glomerata powder in feed or water suggesting that D. glomerata had no negative effect on the liver. This might be due to the hepato-protectory effects of the substances present in the studied spice. This results agrees with the findings of Kana et al. which revealed that, the incorporation of 0.2 and 0.4% D. glomerata in the diet of broilers did not significantly affect serum content in ASAT and ALAT. This observation contradicted the finding of Rehman et al. who reported that feeding broiler with a mixture of aqueous extracts of medicinal plant induced a reduction in ALAT and ASAT ratios. This contradiction can be due to the multitude of the active compounds in the mixture of the extracts used by these authors which could have affected liver function. Creatinine level had an upward trend with D. glomerata compared to the negative and positive control treatments. This might be as a result of the absence of bioactive substances like alkaloids and tannins in the spice that can be harmful to the kidney. This result agrees with the findings of Onu  and Al- Shuwaili et al. who reported no marked effect on creatinine level when 0.25% garlic, ginger, combination of garlic-ginger and 5% spices of garlic, ginger, and cinnamon were respectively fed to broilers and turkeys. The present results contradicts the findings of Kana et al. [11,36] who respectively reported a marked (p<0.05) increase in creatinine content with 0.4% D. glomerata and Afrostyrax lepidophyllus (bark and combination of fruit-bark) in broiler chickens. The serum content in urea and total protein were not affected by the supplementation of feed and drinking water with D. glomerata. This suggests that the inclusion of D. glomerata fruit powder in quail’s diet does not have harmful effects on kidney function (serum rate of urea) and the immune system (serum protein rate). This is in accordance with the findings of Al- Shuwaili et al. which showed that incorporating ginger, garlic and cinnamon in turkey’s ration had no marked effects on total protein level. This result contradicts the results of Ngouana et al. which revealed that, the incorporation of essential oils encapsulated in chitosan and charcoal in broilers feed increased the serum content in total protein and serum urea levels. The level of serum cholesterol, high density lipoproteins and low density lipoproteins were not affected by dietary treatments. This contradicts the results of Ali et al. who reported that the addition of thyme in the diet of chicken induced a significant decrease in the serum content in HDLcholesterol and total cholesterol. Meanwhile, feeding quails with D. glomerata inclusion in water markedly increased serum content in triglycerides compared to the negative control treatment. This could be explained by the ability of the spice to increase the secretion of bile salts which would have led to a better digestion of dietary lipids. This result is in agreement with the findings of Bolukbasi et al. who reported that essential oil of thyme leads to an increase in the triglyceride level in broiler chickens. The numbers of lactic bacteria count (beneficial bacteria) were higher than E. coli, Salmonella and Staphylococcus (pathogenic bacteria) counts. This could be explain by the presence of substances like phenols in spices which promote the development of lactic bacteria. Also, antimicrobial property of the spice is considered to arise from phenols, flavonoids  and hydrophobic essential oil present in spices and plants that intrude into the bacterial cell membrane, disintegrate the membrane structure and cause leakage thus making microbes less virulent [7,23]. More to that, phenolic compounds act by forming complexes with several proteins causing the destruction of microbe’s membrane rendering unavailable certain substrates for microbes . Moreover, Guo et al. stated that spices and plant extracts leads to a decrease in the number of harmful microorganisms while at the same time increase the number of beneficial microorganisms. This result agrees with the findings of El-Shenway and Ali  who observed an increase in lactic bacteria population in the intestine of healthy quails. The suppression of harmful microorganisms (E. coli and Salmonella) resulted to better growth and metabolism of beneficial microbes although not significant. Antimicrobial activity of natural extracts and compressed oils are closely linked with their polyphenolic content . Therefore, plants or their extracts rich in phenolic and other bioactive compounds may serve as potential natural antimicrobial agents . Staphylococcus increased significantly (p<0.05) in D. glomerata feeding regimes compared to the negative control treatment. This could be explain by the absence of substances like alkaloids and tannins that might have played a greater role in destroying the microorganism. Pavithra  reported that spices with alkaloids have good antimicrobial property against gram positive microorganisms like S. aureus and S. typhi. Also, Harris et al. reported that for Staphylococci to proliferate easily, they must have access to their nutritional requirements generally made of an organic source of nitrogen supplied by 5-12 essential amino acids. These amino acids might have been obtained from quail’s digestion of proteins present in their feed with respect to the quantity consumed thereby giving room for Staphylococcus proliferation. Furthermore, they are resistant microorganisms as they tolerate antibiotics, high temperatures and concentration of salts . This could be due to the thick cell wall they possess which provides the organism with a great internal pressure making it nearly impossible for the antimicrobial spices or drugs to enter the cell . These results contradicts the findings of Nassan et al. who reported that in vivo and in vitro evaluation of clove water extract respectively in male albino rats and using agar well diffusion method had antimicrobial activity against Staphylococcus aureus at a minimum inhibitory concentration (MIC) of 2 mg/ml. This suggests that D. glomerata had a MIC less than what was required to considerably reduce Staphylococci population. This study revealed that the administration of D. glomerata powder to quails through feed or drinking water is not significantly effective on growth performance. However, D. glomerata whatever the feeding regime can be used to balance gut microbiota and haemato-biochemical parameters of Japanese quails. Ashour EA, Alagawany M, Reda FM, Abdel-hack ME (2014) Effect of supplementation of Yucca schidigerato growing rabbitÃ¢ÂÂs diets on growth performance, carcass characteristics, serum biochemistry and liver oxidative status. Asian J Anim Vet Adv 9: 732-742. Dhama K, Latheef SK, Mani S, Abdul Samad H, Karthik K, et al. (2015) Multiple beneficial applications and modes of action of herbs in poultry health and production-A Review. Int J Pharm 11: 152-176. Nasab ME, Moslem B, Hamed AP, Mahnaz AH, Jaafar EN (2015) Role of antibiotic in ruminant: Review. World J Clin Pharm Microbiol Toxicol 1: 37-40. Ma De Cesare A, Manfreda G, Bondioli V, Pasquali F, Franchini A (2012) Antibiotic resistance and ribotyping profiles of campylobacter isolates from a poultry meat processing plan. Archiv Geflugel 66: 62. SengÃÂ¼l T, Yurtseven S, Cetin M, Kocyigit A, SÃÂ¶gÃÂ¼t B (2008) Effect of thyme (T. vulgaris) extracts on fattening performance, some blood parameters, oxidative stress and DNA damage in Japanese quails. J Anim Feed Sci 17: 608-620. Cervantes H (2006) Banning antibiotic growth promoters: Learning from the European experience. Int J Poult Sci 45: 14-15. Windisch W, Schedle K, Plitzner C, Kroismayr A (2008) Use of phytogenic products as feed additives for swine and poultry. J Anim Sci 86: 140-148. Alloui MN, Ben Aksa SN, Ibri F (2012) Utilisation of fenugreek (Trigonella foenum-graecum) as growth promoter for broiler chickens. J WorldÃ¢ÂÂs Poult Res 2: 25-27. Odoemelam VU, Etuk IF, Ndelekwute EK, Ekwe TC (2013) Herbs and spices: Options for sustainable animal production. J Biol Agri Health 3: 116-123. Oleforuh-Okoleh VU, Ndofor-Foleng HM, Olorunleke SO, Uguru JO (2015) Evaluation of growth performance, haematological and serum biochemical response of chickens to aqueous extract of ginger and garlic. J Agricult Sci 7:167-173. Kana JR, Mube KH, NgouanaTadjong R, Tsafong F, Komguep R, et al. (2017a) Effect of Dietary Mimosa Small Bell (Dichostachys glomerata) Fruit Supplement as Alternative to Antibiotic Growth Promoter for Broiler Chicken. J WorldÃ¢ÂÂs Poult Res 7: 27-34. Fankam AG, Kuete V, Voukeng IK, Kuiate JR, Pages JM (2011) Antibacterial activities of selected Cameroonian spices and their synergistic effects with antibiotics against multidrug-resistant phenotypes. BMC Complement Alternat Med 11:104. Atsang AKG, Dzeufiet DPD, Foyet HS, Nana P, Sokeng DS, et al. (2012) Analgesic and Anti-Inflammatory Activities of Dichrostachys glomerata (Forssk.) Hutch. Fruits Methanolic Extract in Rats. J Physiol Pharm Adv 2: 269-276. Kuate D, Etoundi BC, Ngondi JL, Oben JE (2010) Effects of Dichrostachys glomerata spice on cardiovascular diseases risk factors in normoglycemic and type 2 diabetic obese volunteers. Food Res Int 44: 1197-1202. Simitzis PE, Deligeorgis SG, Bizelis JA, Dardamani A, Theodosiou I, et al. (2008) Effect of dietary oregano oil supplementation on lamb meat characteristics. Meat Sci 79: 217-223. Okerulu IO, Chinwe JA (2001) The phytochemical analysis and antimicrobial screening of extracts of Tetracarpidium conophorum. J Chem Societ Nig 20: 53-55. Steel RG, Torrie JH (1980) Principal and procedures of statistics, A biometrical Approach 2nd edition. McGraw-Hill Boocks Company, New York: 633p. Hernandez F, Madrid J, Gargia V, Orengo J, Megias MD (2004). Influence of two plant extracts on broiler performance, digestibility and digestive organ size. Poult Sci 83: 169-174. Kalio GA, Wariboko ON, Okafor BB (2016) Growth performance and haematological profile of growing Japanese quails fed graded levels of Azadirachta Indica leaf meal. J Anim Sci Adv 6: 1586-1594. Nweze BO, Nwankwegu AE, Ekwe OO (2011) The performance of the broilers chickens on African Porridge fruit (Tetrapleura tetraptera) Pod under different feeding regimes. Asian J Poult Sci 5: 144-149. Lee JT, Bailey CA, Cartwright AL (2003) Beta-mannanase ameliorates viscosity associated depression of growth in broiler chickens fed guar germ and hull fraction. Poult Sci 82: 1925-1931. Jang IS, Ko YH, Kang SY, Moon YS, Sohn SH (2007) Effect of dietary supplementation of ground grape seed on growth performance and antioxidant status in the intestine and liver in broiler chickens. Kor J Poult Sci 34: 1-8. Muneendra K, Vinod K, Debashis R, Raju K, Shalini V (2014) Application of Herbal feed additives in animal nutrition- A Review. Int J Livest Res 4: 1-8. Suganya T, Seenthilkumar S, Deepa K, Muralidharan J, Gomathi G, et al. (2016) Herbal feed additives in poultry. Int J Sci Environ Technol 5: 1137-1145. Barad NA, Savsani HH, Patil SS, Gadaniya MR, Murthy KS, et al (2017) Effect of supplementing the diet with coriander seeds, turmeric powder and black pepper on the feed intake, growth performance and carcass quality of broilers. The Ind Vet J 94: 43-45. Seifi S, Sayrafi R, Khoshbakht R, Gilani A (2015) Effects of Dietary Acetic Acid on Intestinal Microbiota, Serum Components, Internal Organs and Performance of Broilers. Glob J Anim Sci Res 3: 536-543. Fazilat H, Kheiri F, Faghani M (2014) Effects of using commercial globacidÃÂ® acidifier supplementation on growth performance and some haematological parameters in Japanese quail (Coturnix japonica). Res Opin Anim Vet Sci 4: 622-625. 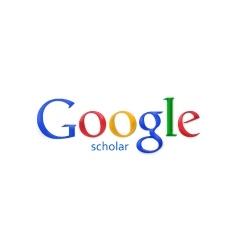 Simsek UG, Ciftci M, Dalkilic B, Guler T, Ertas ON (2007) The effects of dietary antibiotic and anise oil supplementation on body weight, carcass characteristics and organoleptic analysis of meat in broilers. Revue MÃÂ©d VÃÂ©t 158: 514-518. Goodarzi M, Nanekarani S (2014) Effect of onion extract in drink water on performance and carcass traits in broiler chickens. IERI Proced 8: 107-112. Islam MF, Haque MN, Parvin A, Islam MN, Alam MN, et al. (2017) Effect of dietary supplementation of garlic on feed conversion ratio, carcass physiognomies and haematological parameters in broilers. Banglad J Vet Med 15: 7-11. Onu PN (2010) Evaluation of two herbal spices as feed additives for finisher broilers. Biotech Anim Husb 26: 383-392. Parthasarathi S, Mohapathra LM, Sethy K, Sahoo PR, Nayak SM, et al. 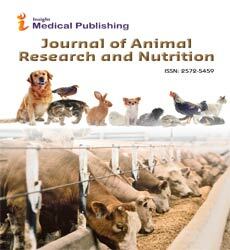 (2017) Effect of ginger and garlic supplement on growth and haemato-biochemical profile of Japanese quail (Coturnix coturnix japonica).Exploratory Anim Med Res 7: 77-83. Al-kassie GAM, Al-Nasrawi MAM, Ajeena SJ (2011) The effects of using hot red pepper as a diet supplement on some performance traits in broilers. Pak J Nut 10: 842-845. Rehman S, Durrani FR, Chand N, Khan RU, Fawad UR (2011) Comparative efficacy of different schedules of administration of medicinal plants infusion on hematology and serum biochemistry of broiler chicks. Res Opin Anim Vet Sci 1: 8-14. Al-Shuwaili MA, Ibrahim IE, Naqi Al-Bayati MT (2015) Effect of dietary herbal plants supplement in turkey diet on performance of some blood biochemical parameters. Global J Bio-Sci Biotech 4: 85-89. Kana JR, Mube KH, Ngouana TR, Yangoue A, Komguep R, et al. (2017b) Growth performance and serum performance profile of broiler chickens fed on diets supplemented with Afrostyrax lepidophyllus fruit and bark as alternative to antibiotic growth promoters. J Vet Med Res 4: 1-7. Ngouana Tadjong R, Kana JR, Tsafack Necdem B, Yemdjie Mane DD, Mube Kuietche H, et al. (2017) Performances of Broiler Chickens Fed on Diet Supplemented with Thyme and Oregano Essential Oils Stabilized in a Plant Charcoal Matrix. J World Poult Res 7: 79-87. Ali MN, Hassan MS, Abdel-Ghany FA (2007) Effect of strain, type of natural antioxidant and sulphate on productive, physiological and hatching performance of native laying hens. Int J Poult Sci 6: 539-554. Bolukbasi SC, Erhan MK, Ozkan A (2006) Effect of dietary thyme oil and vitamin E on growth, lipid oxidation, meat fatty acid composition and serum lipoproteins of broilers. South Afri J Anim Sci 36: 189-196. Muanda F, Kone D, Dicko A, Soulimani R, Younos C (2011) Phytochemical Composition and Antioxidant Capacity of Three Malian Medicinal Plant Parts. Evidence-Based Compl Alternat Med 1-8. Guo FC, Williams BA, Kwakkel PR (2004) Effects of mushroom and herb polysaccharides, as alternatives for an antibiotic, on the cecal microbial ecosystem in broiler chickens. Poult Sci 83: 175-182. El-ShenwayAbeer M, Gehan AIE (2016) Effect of Some Organic Acids and Essential Oils as Feed Additives on Growth Performance, Immune Response and Carcass Quality of Japanese quail. Alexand J Vet Sci 51: 68-77. Ahm J, Grun IU, Mustapha A (2004) Antimicrobial and antioxidant activities of natural extracts in vitro and in ground beef. J Food Protect 67: 148-155. Hyldgaard M, Mygind T, Meyer RL (2012) Essential oils in food preservation: Mode of action, synergies and interactions with food matrix components. Front Microb 3: 12. Pavithra G (2014) Effect of spices on bacteria-A short review. J Pharm Sci Res 6: 268-270. Harris LG, Foster SJ, Richards RG (2002) An introduction to Staphylococcus aureus and techniques for identifying and quantifying Staphylococcus aureus adhesions in relation to adhesion to biomaterials: Review. Europ Cells Mat 4: 39-60. Valero A, Rodriguez-PÃÂ©rez F, Carrasco E, Fuents-Alventosa JM, Garcia-Gimeno RM, et al. (2009) Modelling the growth boundaries of Staphylococcus aureus: Effect of temperature, pH and water activity. Int J Food Microb 133: 186-194. Freeman-Cook L, Freeman-Cook KD, Alcamo IE (2006) Staphylococcus aureus infections: Deadly diseases and epidemics. InfoBase Publish Edit 26-29. Nassan MA, Mohamed EH, Abdelhafez S, Ismail TA (2015) Effect of clove and cinnamon extracts on experimental model of acute hematogenous pyelonephritis in albino rats: Immunopathological and antimicrobial study. Int J Immunopath Pharmacol 28: 60-68.